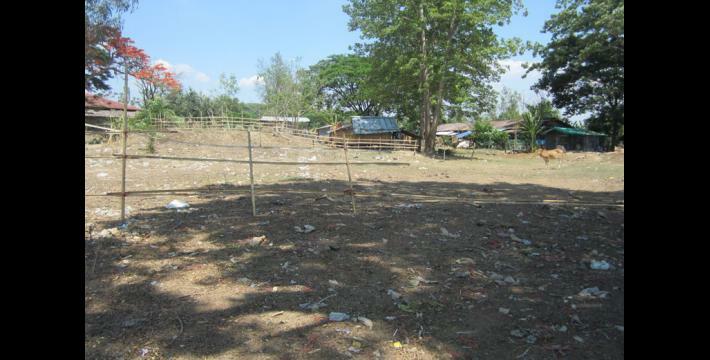 This report includes a situation update submitted to KHRG in July 2013 by a community member describing events occurring in Hpa-an District between March to May 2013, including land confiscation, killing and drug-related incidents in T'Nay Hsah Township. 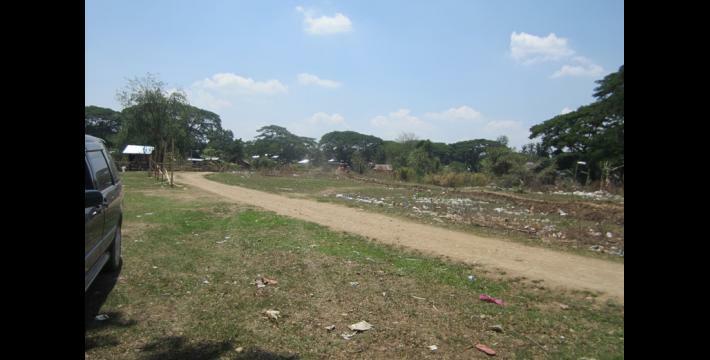 The situation update describes more than 1,000 acres of villagers' lands in T'Nay Hsah Township that were confiscated in the mid-1990s by Tatmadaw Battalions #547, #548 and #549. As a result, about 150 villagers have continued to shelter in a monastery for nearly two decades because their land was confiscated. Villagers appealed to local authorities by furnishing their land grants, but were informed by the Tatmadaw that their land grants are illegal and the lands belong to the military. The update also describes two villagers, a 16-year-old boy from Y--- village and a 62-year-old woman from G---, who were killed in separate incidents by BGF Battalion #1016 soldiers in T'Nay Hsah Township in disputes related to a methamphetamine pill commonly referred to as yaba. According to the report, many young people use the drug, but villagers are afraid to speak against drug abuse because BGF soldiers are involved in its sale. The update also describes two BGF veteran commanders who confiscated 20 acres of land owned by two women from H--- village, Ta Kreh Township. The commanders demanded the women pay a total of 1,100,000 kyat (US $1129.23) for return of the land; the women negotiated with the soldiers, but ultimately sold their personal belongings in order to pay for the return of their land. The following situation update was written by a community member in Hpa-an District who has been trained by KHRG to monitor human rights conditions. It is presented below translated exactly as originally written, save for minor edits for clarity and security. This report was received along with other information from Hpa-an District, including, three interviews, 342 photographs and 58 video clips. I want to report the consequences of the military government confiscating lands in K--- village, T'Nay Hsah Township from 20 years ago. 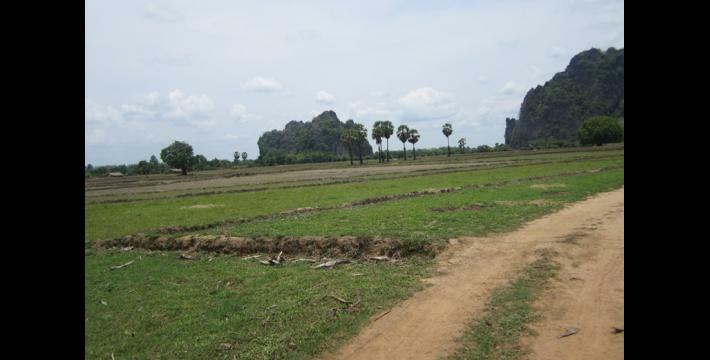 Regarding the land issue in T'Nay Hsah [Township], the villagers struggled to get their farms and plantations back. 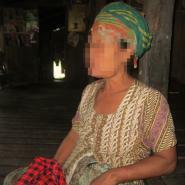 In May 2013, they [villagers] went to get [land] documents at the Kawkareik [Burma government] office. And then, they brought the land grants back in order to be able to work on their farms again. When they brought them [land documents] and went and showed them to [Tatmadaw Light Infantry] Battalion #548's Battalion commander, the army [commander] told them that, "Your documents are illegal so you cannot work on your farms. They [the farms] are military lands." Therefore, villagers are disappointed with this issue. In K--- village, there are 30 households and 150 people whose lands were confiscated by the army, and then they came back and stayed in the [K---] monastery garden. These villagers are [there] because people confiscated their lands. There are many villagers who left their village and were displaced to other villages because some villagers do not have land anymore. There are over 1,000 acres of lands that were confiscated by the military. The military [units] that confiscated these lands are army Battalions #547, 548 and 549. 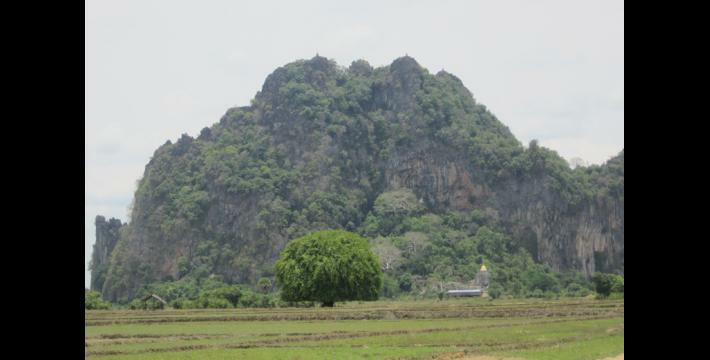 I would like to report the situation in the area about the drug k'thee k'thay [yaba] issue from what I saw, knew and heard in T'Nay Hsah Township, Hpa-an District. On March 11th 2013, one 16-year-old student who used the drug spent all his money on the drug and then went to pawn his motorbike for 30 k'thee k'thay [tablets]. When this kid used all the drugs and came back to his parents, people [started] asking him, "Where do you keep your motorbike?" His father asked him nonstop, therefore he answered his father. His father told him, "My son, I bought this motorbike for you with 38,000 baht and you traded it for 30 k'thee k'thay. So, here is the money, go and redeem your motorbike. How much does it cost for one tablet of the drug, it costs only 3,000 kyat (US $3.08)?" Then, the kid picked up the money, 90,000 kyat (US $92.31), and went to the place where he pawned his motorbike. He met with the owner who sells the drug and asked for his motorbike. The owners who sell the drug were worried that the information would appear [publicly] when he gave the money to them. Therefore, they arrested the kid, and then they hit and killed the kid with a piece of brick. The kid lived in Y--- village and the people who murdered him were BGF [Border Guard Force] soldiers. This event is accurate, although I heard it when villagers told me. 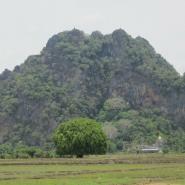 On May 13th 2013, I started meeting with villagers in Yaw Kuh village tract, T'Nay Hsah Township, Hpa-an District. 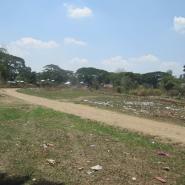 Villagers reported that the most important problem is the k'thee k'thay issue. [Villagers reported that], "The k'thee k'thay destroys our children, husbands and destroys many of our children and grandchildren. 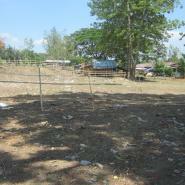 There are some people who became crazy because of k'thee k'thay; some lost their farms and some lost their motorbike. We dare not submit this issue to any armed group because the armed groups do it [manufacture and sell the drug]. There are also some villagers who have good relationships with the armed groups, and the armed groups provide them [permission] documents that allow them to sell k'thee k'thay. The armed group that established the [permission] document for selling k'thee k'thay is the BGF. If we speak openly, there are five groups that use the drug and sell the drug in our area. They are the Tatmadaw, KNLA [Karen National Liberation Army], DKBA [Democratic Karen Benevolent Army], KNU-KNLA Peace Council and BGF. None of them do not do it. So, we dare not speak carelessly. If we were to say so, we are afraid that people would come and kill us. We do not want it [the drug], but we cannot do [anything]." This is what the villagers who came to the meeting said. 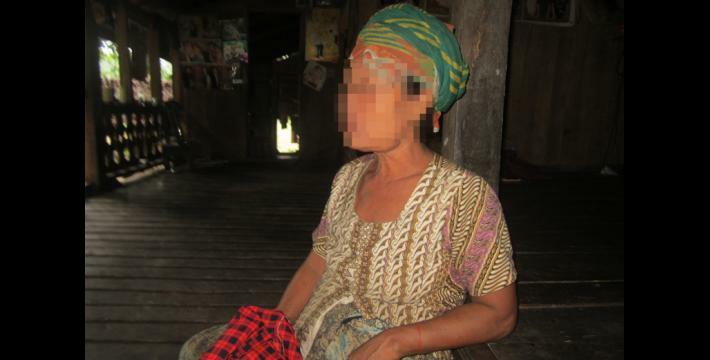 On March 27th 2013, there was also [an incident] that happened related to the drug [concerning] a grandma; the villager [I spoke to] did not know her name; she was 62 years old and lived in Htoh Kaw Koh village tract, T'Nay Hsah Township, Hpa-an District. This grandma was well known, as she spoke openly and publicly. The cause of the event happened because of the money issue. This grandma told BGF's people that, "You all are Burma's [Tatmadaw] people. You became rich because you sell k'thee k'thay. I don't respect you." She argued with BGF Battalion #1016 [soldiers], and then four of Battalion Commander Mya Khaing's soldiers murdered grandma in G--- village at the riverside. The process by which they murdered grandma was that they tied grandma's neck with rope and hit grandma's head with stone. A villager who told me this saw it by himself. He was worried that people would know what he reported and he was scared. He did not allow me to record his voice or take a picture. [The BGF soldiers] said that they murdered grandma because they were worried that grandma would say that they are selling k'thee k'thay. This event is true and I got it from one villager who told me. I would like to write up a situation update in Ta Kreh Township about BGF members who are fearless [approach with impunity] regarding the land issue. In H--- village, Taw Soh village tract, Ta Kreh Township, Hpa-an District, [an incident] occurred involving two of BGF's veteran [officers], whose names are Poh Kyaw Hay, also known as Dee Hter Ler, and Poh Kya Aye, also known as Hpah T'Kaw, who live in R--- village, Poh Yay Hpoo village tract, Ta Kreh Township, Hpa-an District. These two men confiscated villagers' lands, and the villagers whose lands were confiscated are Naw M---, who lives in H--- village, and Naw E---, [who also] lives in H--- village. The places where they [two BGF veterans] confiscated the lands were in Lay Nah Htoh and K'Mler Wah. 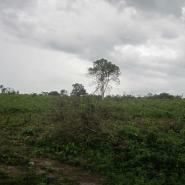 The lands that were confiscated are about 20 acres. These villagers' lands have official land grants that they got from the military government. BGF officers Poh Kyaw Hay and Poh Kya Aye told them [two female villagers] that, "Your land grant is illegal, so we will take your lands." Because these villagers want their lands back, they therefore went to the KNU's governor in charge from Ta Kreh Township, but [KNLA] people could not do it for them. The BGF soldiers told them that, "If you want your lands back for Naw M---'s land, you have to pay us 600,000 kyat (US $615.40), and for Naw E---'s land, you have to come and pay us 500,000 kyat (US $513.83). And then you will get your land back." The villagers told them that, "We don't have money." Then, they made trouble for the villagers [by making] many threats against the villagers. Therefore, the villager named Naw M--- had to sell her gold and went to pay them money, and Naw E--- had to sell one of her motorbikes and went to pay them. They told the land owners that, "It will be done early if you do like this." In order to increase the transparency of KHRG methodology and more directly communicate the experiences and perspectives of villagers in eastern Burma, KHRG aims to make all field information received available on the KHRG website once it has been processed and translated, subject only to security considerations. As companion to this, a redesigned website will be released in 2013. In the meantime, KHRG's most recently published field information from Hpa-an District can be found in the report, "Hpa-an Photo Set: BGF production and sale of yaba in T'Nay Hsah and Ta Kreh townships," KHRG, July 2013. 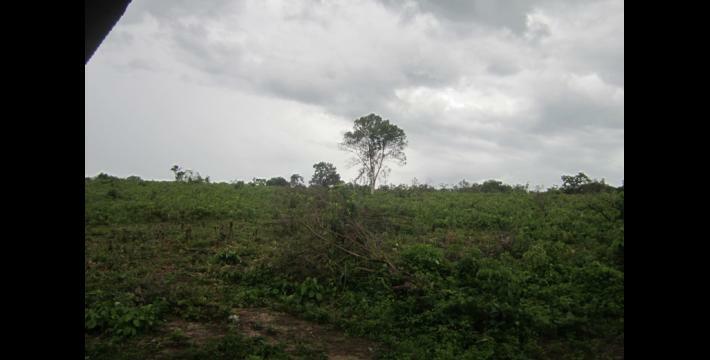 Although the community member writes that the land confiscation occurred 20 years ago, unpublished interviews received by KHRG suggest the events likely occurred in 1995. 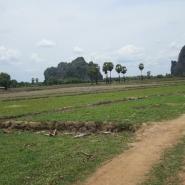 About 30 households have resided on the monastery grounds since their lands were confiscated. Yaba, which means 'crazy medicine' in Thai, is a tablet form of methamphetamine. Introduced to East Asia during World War II to enhance soldiers' performance, methamphetamine has become increasingly popular in Thailand, Laos, Cambodia Vietnam, and in Burma where it is typically manufactured; see "Yaba, the 'crazy medicine' of East Asia," UNODC, May 2008. As of August 8th 2013, all conversion estimates for the Kyat in this report are based on the official market rate of 975 Kyat to the US $1. Border Guard Force (BGF) battalions of the Tatmadaw were established in 2010, and they are composed mostly of soldiers from former non-state armed groups, such as older constellations of the DKBA, which have formalized ceasefire agreements with the Burmese government and agreed to transform into battalions within the Tatmadaw. Border Guard battalions are assigned four digit battalion numbers, whereas regular Tatmadaw infantry or light infantry battalions are identified by two or three digit battalion numbers. For more information, see "DKBA officially becomes Border Guard Force" Democratic Voice of Burma, August 2010, and, "Exploitation and recruitment under the DKBA in Pa'an District," KHRG, June 2009.